Well I’ve been rediscovering my love for embossing these days! Especially with the fun colors and options out there now. I ordered this clear iPhone cover from Amazon. It was very cheap but shipping takes a while so factor that in when ordering. My original plan was to add paper behind the cover (so it would show through) but that made it so the case wouldn’t stay on. So after felling like I had just wasted all this time carefully cutting my paper to fit I was a little annoyed. Then I saw my embossing powder sitting there and though well if I mess the case up it was only like a dollar so why not! 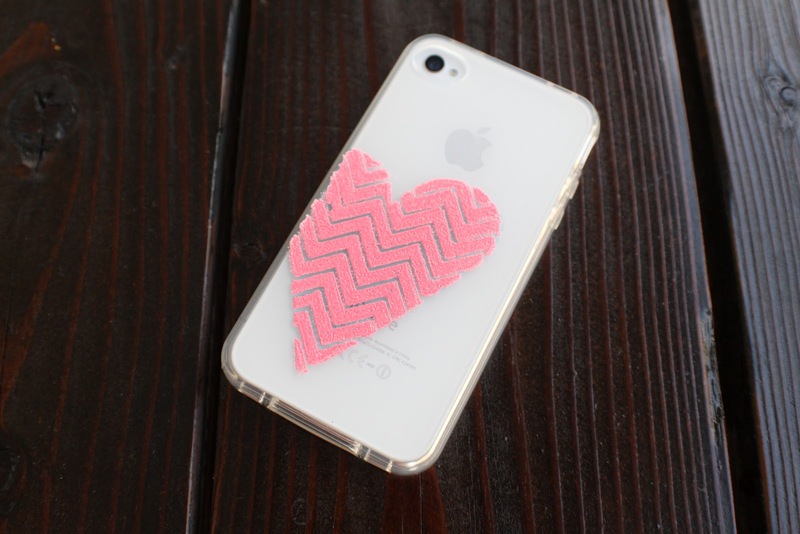 When you emboss it make sure the cover IS NOT on your phone! And remember it’s plastic so heat with care. So far it’s holding up well!